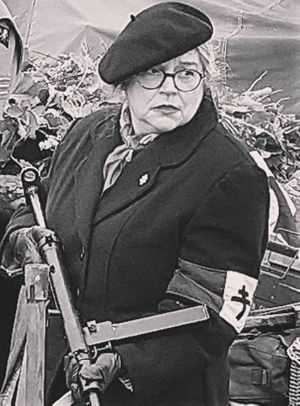 Also known as the FFI (French Forces of the Interior) or the Maquis, our groups impression of the French Resistance allows both men and women of the group to pay homage to the brave souls combating the German occupation since 1940. Specifically it is that of the residents of the Normandy area rising up to aid their liberators on D-Day. Our research shows that the FFI were active in the beachhead areas, warning Allied troops about German troops or minefields in the local area. Rather than a uniform the impression requires practical period civilian clothing and has the option of various weapons. We encourage those considering this impression to be relatively familiar with the French language but this can be learned and is not a prerequisite for joining. Currently the Resistance part of the group is growing in numbers, and will be involved with weapons training and public battle re-enactments when practical and realistic to do so.